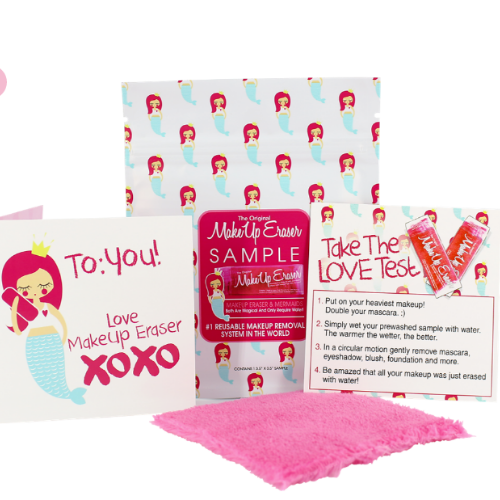 MakeUp Eraser will mail you an original MakeUp Eraser sample! They guarantee that the MakeUp Eraser will change your removal routine! To get a FREE sample, first you need to like them on Instagram and share your IG handle, then add the item to your cart and complete the checkout process to get your FREE MakeUp Eraser, select the FREE Shipping option and your total will be $0. If the FREE Shipping is not available to you then the promotional supply has been exhausted. Warning the sample might fray. To be expected. Hand sewn original eraser has a sateen edge to ensure not to fray. The sample measures 3.5″ x 3.5″.